Voting will take place at the same location where voting for federal and state elections is held. If you do not know where your precinct’s polling place is please call the Idaho County Elections Office at 983-2751. Salmon River High School Graduates and Alumni: Pinehurst quilters is seeking scholarship applicants for the 2013-2014 school year. If you are, or plan to be, a full-time college student in good standing, you can begin the application process on the counselor’s page. Business Professionals of America Students Monica Smith-Brimacomb and Fred Taylor earned second place in the Network Design team at the State Leadership Conference in Boise on March 8th. The team analyzed existing and planned business environments and developed a strategy for the implementation of a network that addressed the needs of the defined business environment based on the scenario provided. When at the State Leadership Conference, the students were asked for a modification in the scenario (to add another satellite office). The team is hoping to earn $4,500 through corporate and local sponsorships for the 6-day leadership conference. Contributors and sponsors can make checks payable to “Salmon River BPA” and mail them to P.O. Box 872, Riggins, ID 83549. 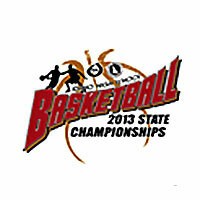 The Salmon River Savages experienced the thrill of victory in a three-day event to win the 2013 Boys Real Dairy Shootout for the Idaho Class 1A Division II boys’ basketball championship at the Idaho Center in Nampa. The Savages had an incredible season (20-1) culminating whenSaturday’s win found the Savages dominating the Nezperce Indians 66-51. According to coach Charlie Shepherd in a pre-game fund raiser, “We are known as a football town…” Shepherd went on to say that the win [is] the Savages first basketball state title not only for our school but also for our Long Pin Conference. Coach Shepherd and assistants JV Coach Brandon Ratcliff and Darwin VanderEsch expressed their pride in the team and gratitude to the teachers and the community in the pre-game pep rally. This year marks a record double state championship for our Savage athletes following the State’s United Dairymen Milk Bowl Football Championship last fall. Savage Football Team Takes State!!! 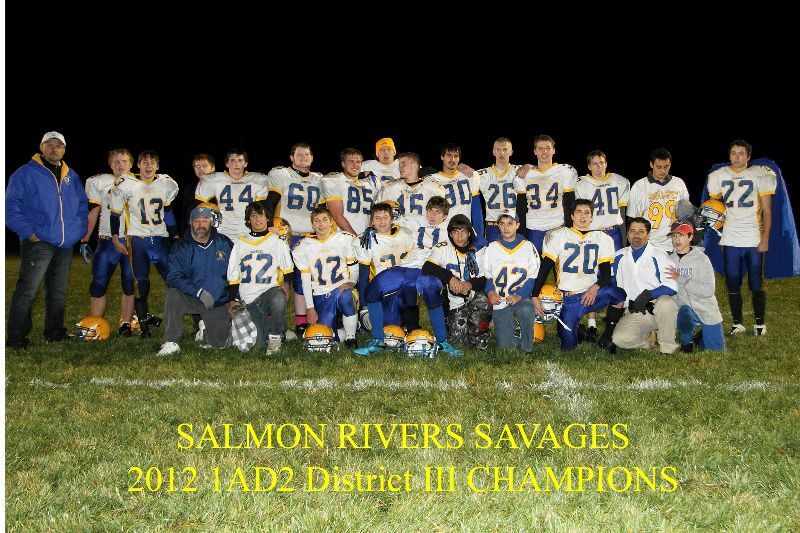 The Salmon River Savage football team enjoyed their third championship at the Idaho Milk Bowl Division 1A DII Football in Eagle on November 16 against the Lighthouse Lions. Congratulations to the team and coaches! 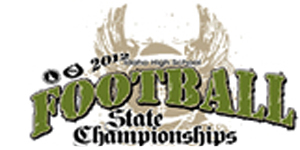 Thanks to the community and Savage fans for your support throughout the 2012 Football Season. Savages Win District Championship Again! 4th straight District III, 1A D2 championship title. Congratulations SRHS! We are only one of six schools in Idaho to get the AYP (Adequate Yearly Progress) Growth Award. The school was honored by the Idaho School Board Association on 5 November at 9 A.M. in the main gym.